Miss Anna Roseman from Chapel Hill, NC has joined our staff for the summer. 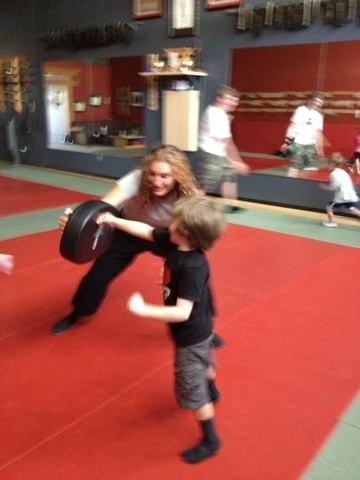 Anna earned her 1st degree black belt at Mountain Quest 2012 and also trains in BJJ. She'll be teaching Ninja Secrets in July (Groundfighting), helping at the desk, and teaching colored belt classes. She's also a welcome addition to camps. When you come to class this week, please join me in making Miss Anna feel the ninja love.